Givenchy celebrates the Lunar New Year with a limited edition capsule collection. 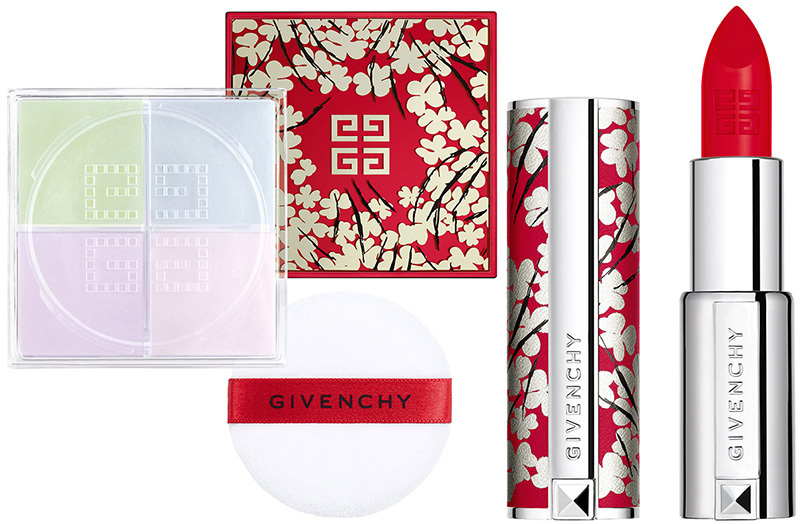 Givenchy Lunar New Year 2019 Collection features the iconic red Le Rouge Semi Matte Lipstick and Prisme Libre. They both come in a special red and festive packaging. 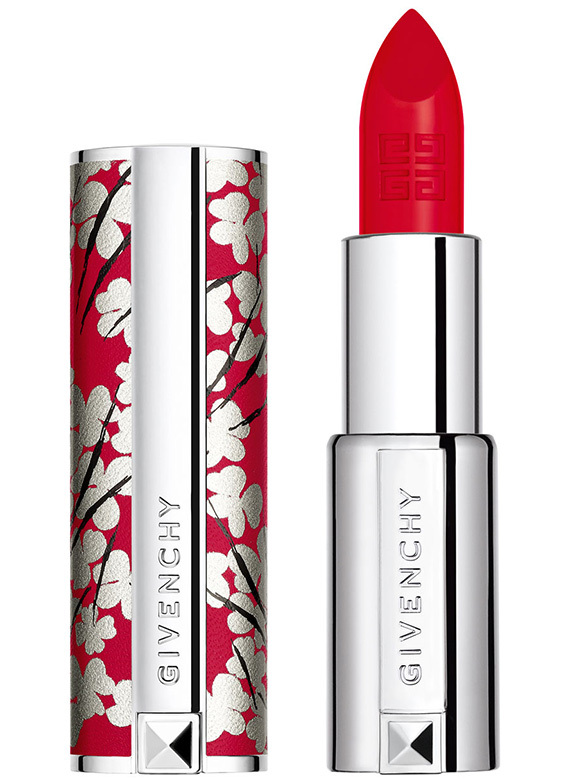 Givenchy celebrates the Lunar New Year with a must-have limited edition of its iconic lipstick, Le Rouge. It is adorned for the occasion with a pattern straight out of Clare Weight Keller’s first runway show, restyled in the symbolic red and white gold tones of this celebration. A festive edition for a beauty essential that coats the lips with intense color and a semi-matte finish. 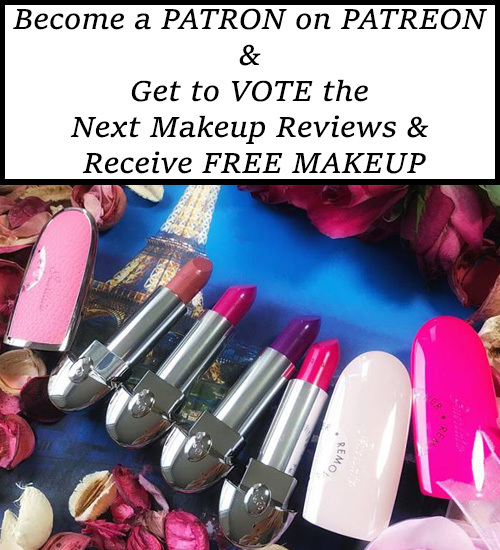 Highly pigmented, it leaves the lips with radiant, intense and lasting color from the first application. A must-have limited edition of its iconic lipstick. Keep this couture case to use on all your Givenchy Le Rouge Lipsticks. It is adorned for the occasion with a pattern straight out of Clare Waight Keller’s first runway show, restyled in the symbolic red and gold tones of this celebration. The color combination evens out skin tone, boosts radiance while shine remains under control. 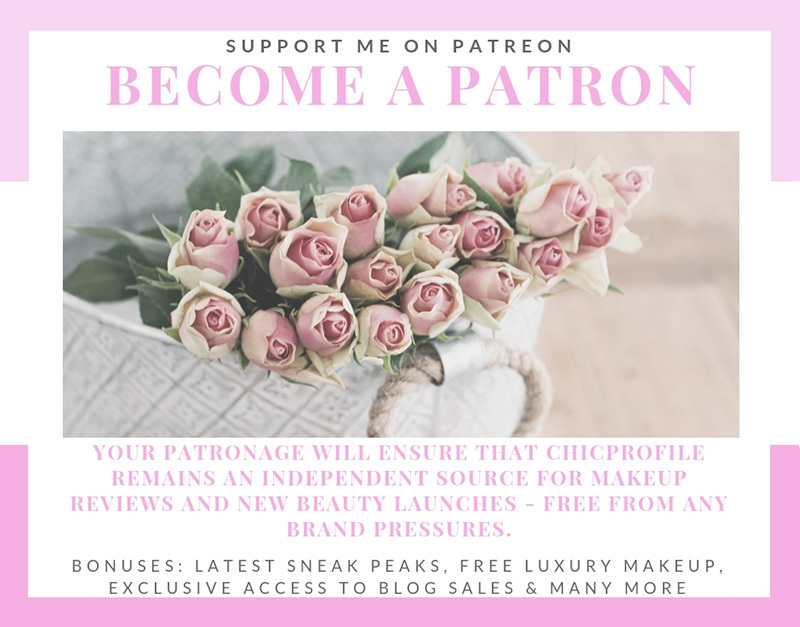 Upon application, imperfections appear diminished, skin is more even, and makeup is set with a lasting, radiant, matte finish. The formula and the pigments are treated with an exclusive, technological atomization process that creates a perfectly uniform and a natural-looking result. Bestselling Shade No. 1 Mousseline Pastel is a universal transparent color correcting powder that contains a pearlescent white hue that captures light, a green that corrects redness, a blue to balance dullness, and a purple to brighten sallowness. 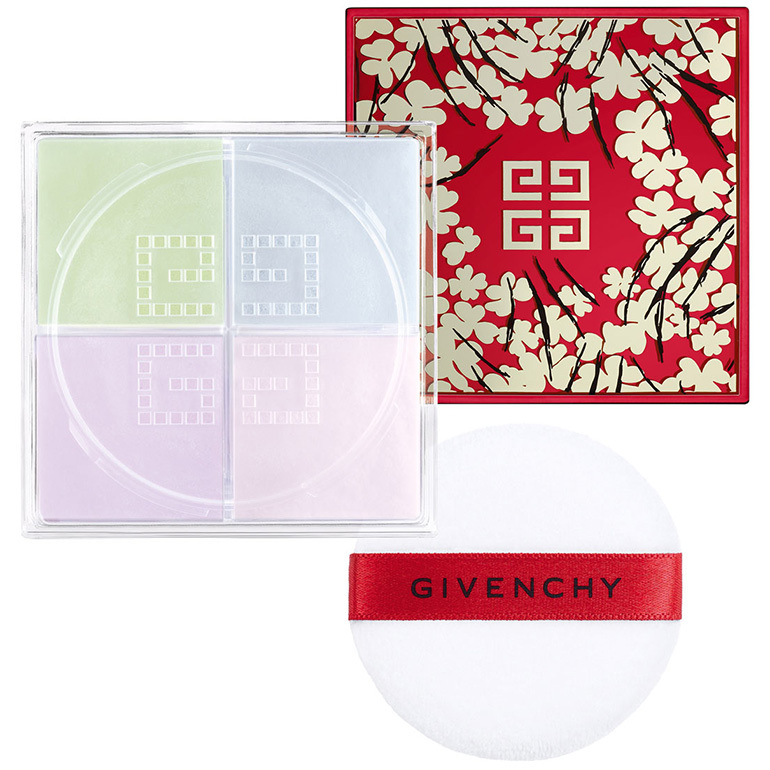 Use this couture cap on all your Givenchy Prisme Libre Loose Setting Powders.